Comvita�s� PFL� stands for Propolis Flavonoid Level and refers to the flavonoid content found in 2 Propolis capsules. 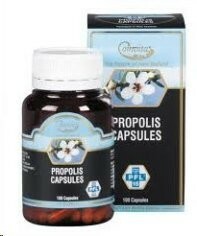 PFL�15 delivers at least 15mg of Propolis flavonoids per 2 capsules. Adults: Take 4-8 capsules daily with food.